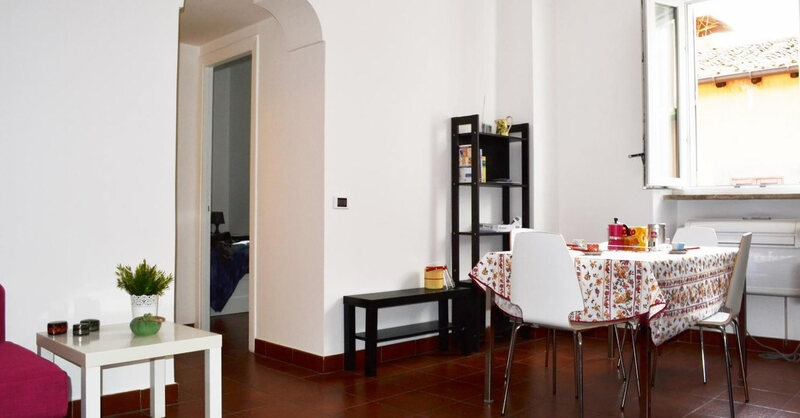 Our self-catering holiday apartment is located in the characteristic and much-coveted neighbourhood of Trastevere near the Church of Santa Maria. 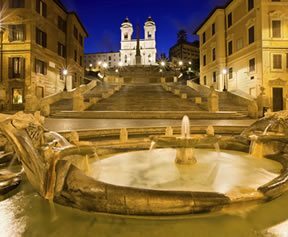 This famous district is a labyrinth of cobbled lanes lined with restaurants and bars, while nearby in the quiet suburbia you’ll find the famous vantage point of the Gianicolo Hill - a famous spot for lovers in Rome! 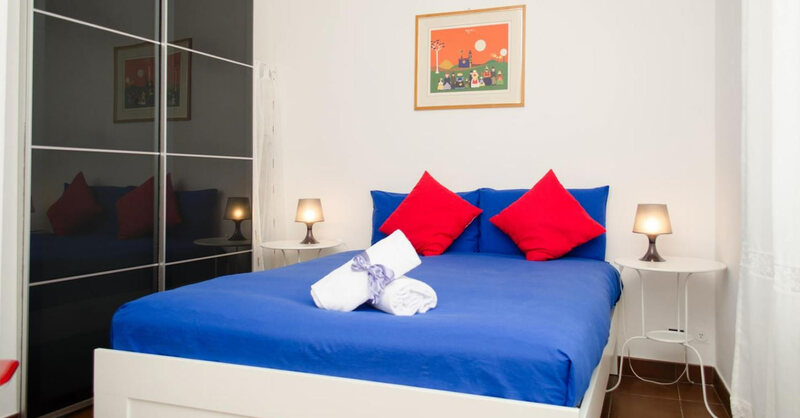 Fifty square metres of pure privacy, freedom and luxury, the Scala Studios 75 apartment is perfect for a family or small group, with one large matrimonial bedroom and an ample and comfy sofa bed for two more adults. 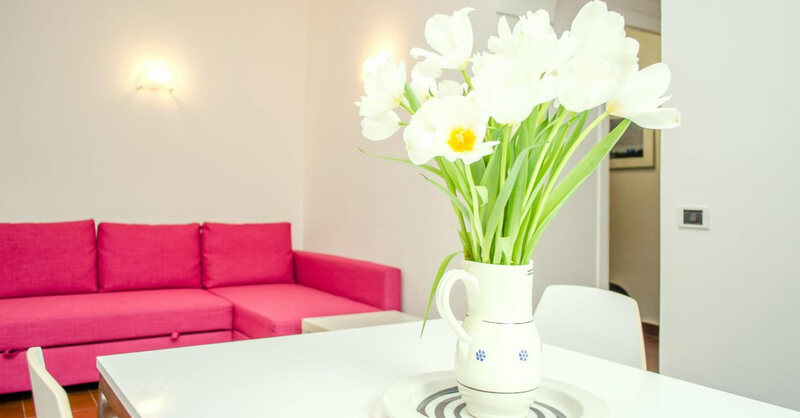 Call upon the staff of the Rome Accommodation Group who are located at our guest houses across Rome for extra services! 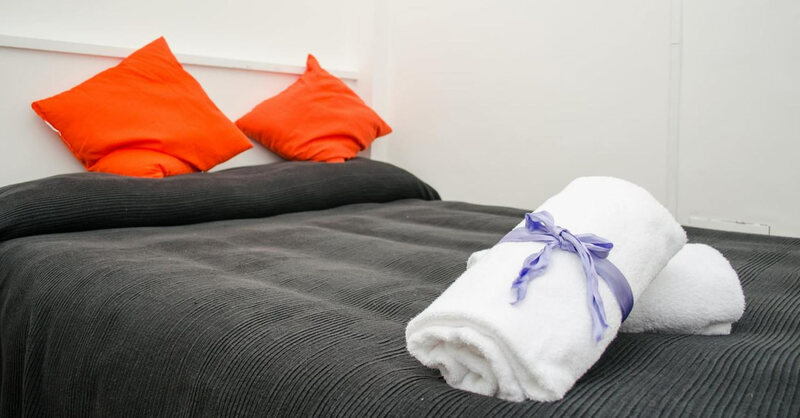 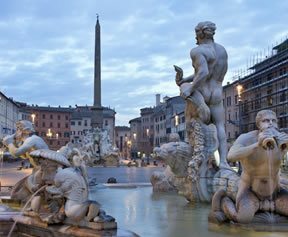 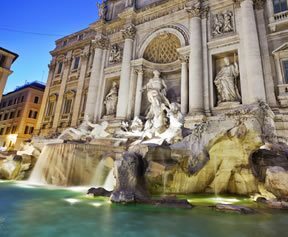 Check out all our top value places to stay in Rome on our Photo Gallery page - from the Scala Studios 75 self catering apartment in Trastevere to the Bellesuite luxury 4 star guest house, I Giardini del Quirinale guest house with garden and 95 Rooms in Rome for the boho Monti types!